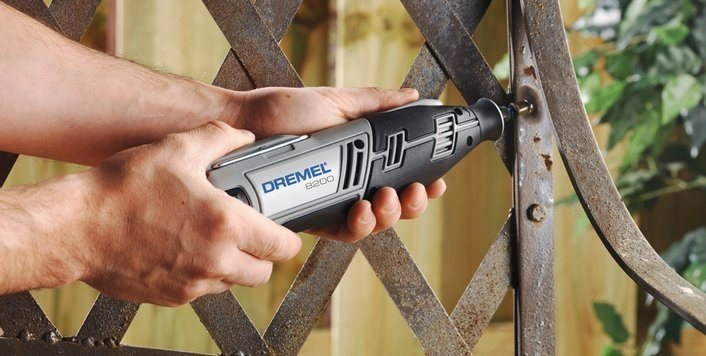 This kit includes the high performance 8200 Li-Ion cordless Multi-Tool, with features like the EZ Twist nose cap, collet lock out function, a motor brake and a RPM bandwidth of 5.000 to 30.000. 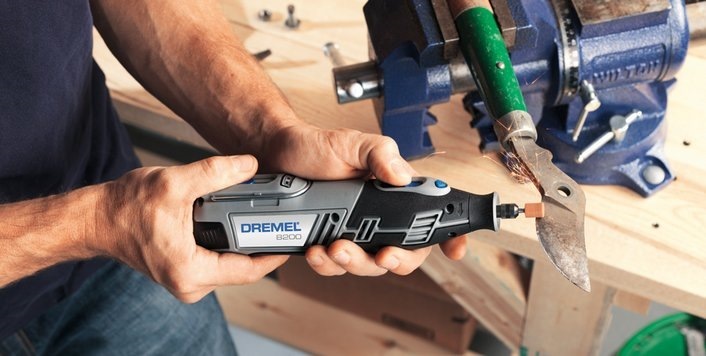 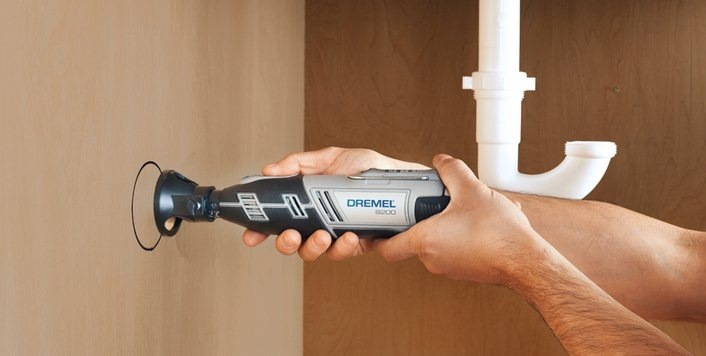 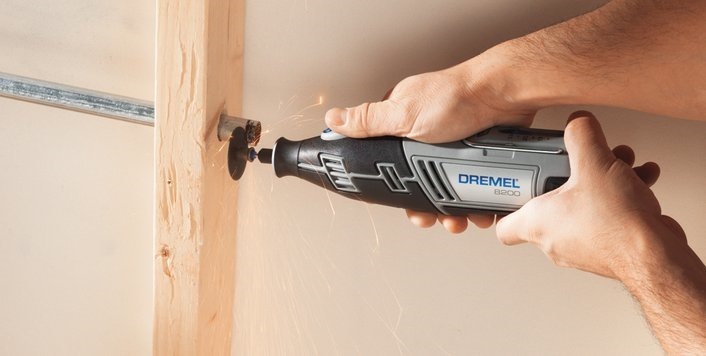 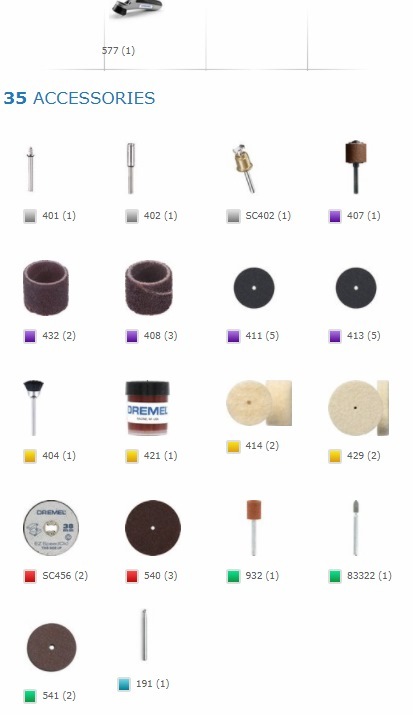 The kit includes the Detailer Grip attachment for optimal tool control. 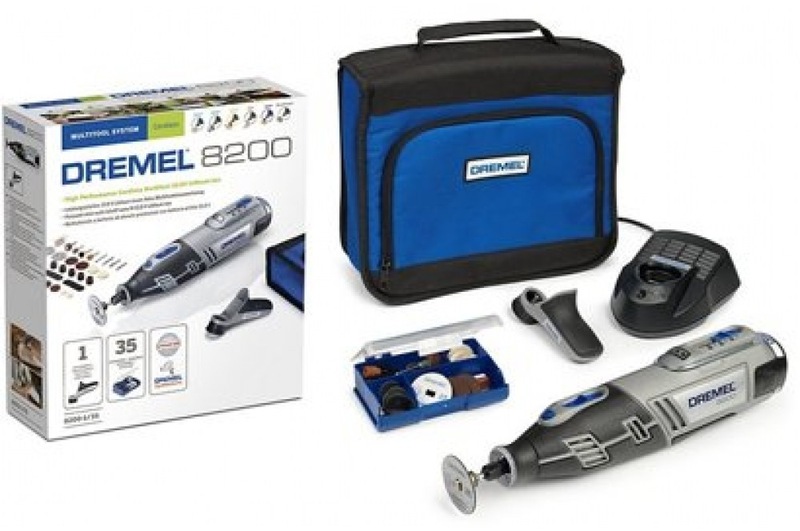 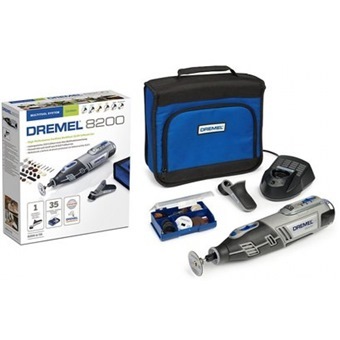 Next to this attachment the kit includes a 1-hour battery charger and 35 original Dremel accessories including EZ SpeedClic.